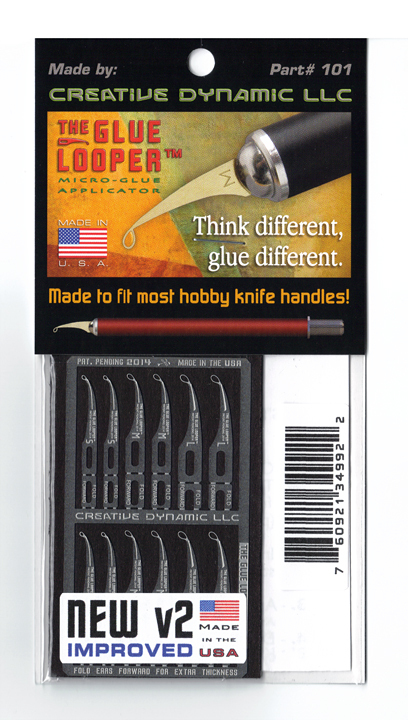 THE GLUE LOOPER is a micro glue applicator made for applying a VERY small amount of LOW VISCOSITY (i.e. - very thin) glue where you want it to go with very little or no trace of the glue. It uses capillary action with LOW VISCOSITY CA (cyanoacrylic) glue or LOW VISCOSITY model cement. (It will capture and hold ANY LOW VISCOSITY liquid!) 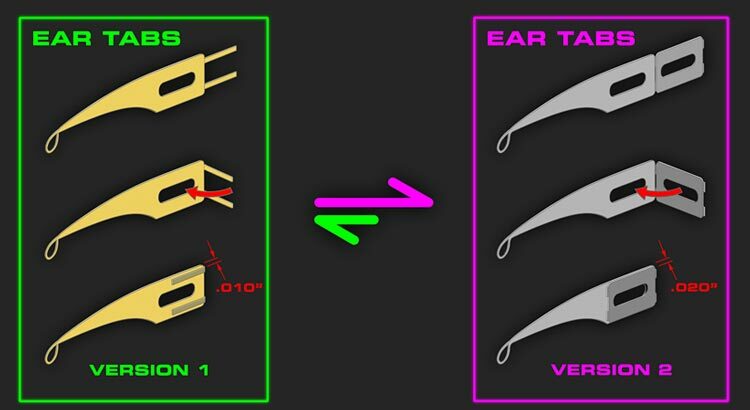 It fits in any standard hobby knife handle that uses a flat clamping front vise, can be used and reused for multiple glue applications. 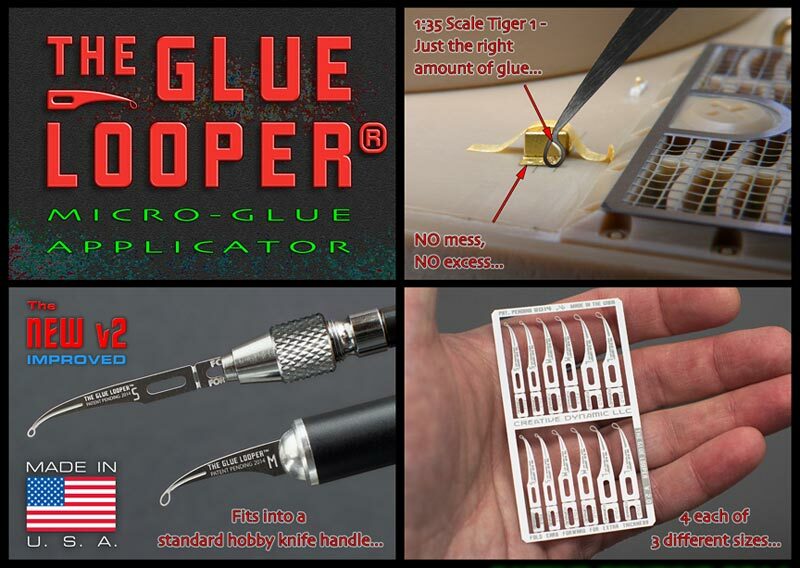 (Cleans very easy - just burn off old glue with a lighter) THE GLUE LOOPER is indispensable for any small gluing work: AFV builders, prop makers, entomology research (insect specimen) repair, jewelry making, etc. It comes in three different sizes, four GLUE LOOPER's of each size included in every purchase.